The Chereponi District in the North East region, is up in flames following renewed clashes between the Konkombas and the Chokosis which has so far claimed at least 3 precious lives with several houses burn down in the process. Available information suggests that about 1,800 residents have been displaced in the ensuing hot-blooded violence while women, children and persons with disabilities are said to be the worst affected. It has become public knowledge that the police have been helpless on the ground as they appear to have been overwhelmed by the renewal of the “tribal war” of decades between the two groups. The presence of the military men who were brought in to augment the police’s effort to cull the continuous wreaking of mayhem due to the raging violence, also appear to have been impotent as the situation keeps deteriorating despite their heavy presence. From the look of things, it appears that the heavy security presence in the area does not seem to be deterrent enough to put fear in the hearts, minds and souls of these trouble makers who perhaps find solace in the killing of their fellow human beings. Even though I have limited or no expertise whatsoever regarding security matters, I have common sense in my head that has enabled me to heed the president’s call to be a CITIZEN. In that high spirit of being a Citizen as espoused by the president, I ask; where are the over six ministers, deputies and other ministers in charge of security at the presidency as well as Colonel Michael Opoku when Chereponi is on fire? Where are the heavily built national security operatives some of whom were phone hawkers at Circle and NPP apparatchiks who became national security operatives after 3 weeks of training? Has the sense of security that enabled our national security gurus to gather intelligence that the NDC has imported militias to Ayawaso ahead of the by-election suddenly disappeared? Or have they suddenly lost their minds on the fact that what is happening at Chereponi is a major threat to the security of the country for which reason they have to deploy their masked men there to maintain order? I am wondering whether DSP Azugu, who led the 3 weeks trained operatives to wield assault rifles to Ayawaso to terrorise innocent voters, by standers and others is still at post. I am also curious to know whether he has been promoted to a higher rank after he led masked men to wreak havoc as it happened in the case of Maame Tiwa who today heads the CID. 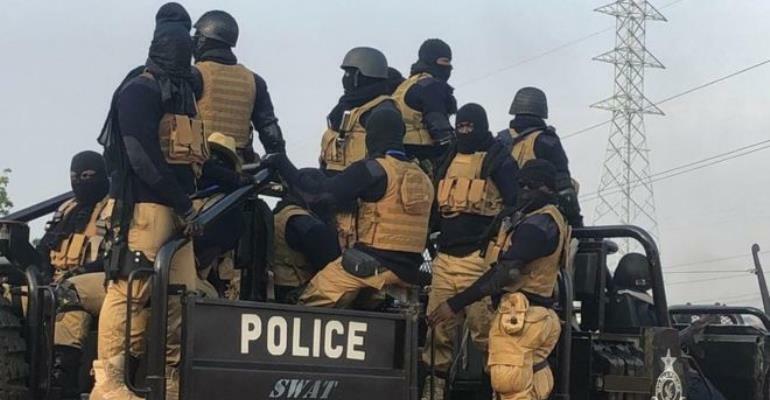 The naked truth is that the police and the soldiers have failed at Chereponi so the National Security commander, DSP Azugu and his masked men must step in to stem the tide. It is high time Double and his other men worn their masks and went to Chereponi to face the lawless trouble makers and proved to all that they are the trusted people to be used to cull dangerous situations. You were wise to wear masks to a location during the day to shoot at innocent voters at Ayawaso but you are now dining while Chereponi is burning. Please, do not force people to think that your common sense on security is only limited to perceptions and intelligence that only point to the house of members of the NDC. Go to Chereponi and quench the razing fire.